This deal cannot be used in conjunction with any other offer. Only available between 1 February 2018 and 31 January 2019. Limit of 1 redemption per individual user per year. Subject to availability. A family pass is either 2 adults and 2 children, or 1 adult and 3 children. Prices subject to change. Get leaping at Dunedin's only indoor trampoline facility and enjoy the great health benefits that trampolining has to offer! According to one NASA study, 10 minutes of leaping on a trampoline provides the same aerobic workout as 30 minutes of running! Also, it's low impact (great for your joints); helps build strong bones and muscles; is great for core strength, balance, and co-ordination; and, most importantly, it's fun! Leap’s trampolines feature the famous angled wall trampolines and a launching deck. 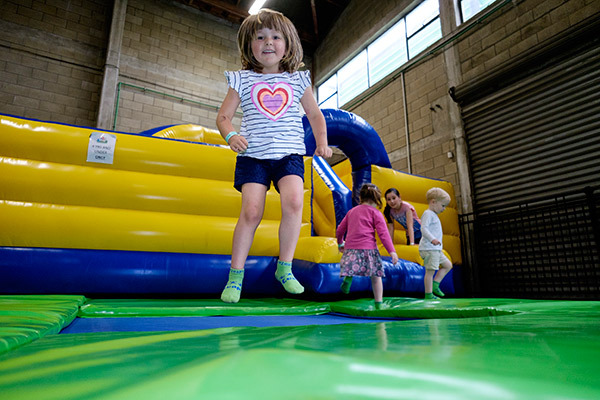 As well as general admission, Leap has Free Style classes to learn cool tricks in a safe environment and special Little Leapers classes for pre-schoolers. To redeem this deal simply show this screen before paying to receive $10 off your family pass.